52 Quilts in 52 Weeks: August UFO Parade: Update! I received email with two more finishes after the blog post went live -- so I hope you'll scroll down and look at Carol's and Kerry's finishes. My #6 UFO is already cut out. It's the "Cosmo Cricket" FQ bundle I won in the very first "Schnibbles Parade" I ever entered, back in June 2012! I cut out a "Cobblestone Road" quilt from these fun fabrics, stuffed it into a "Eleanor Burns Made a Stripper Out of Me" bag and . . . . that was as far as I got! Only four "finishes" left for 2013. Are you starting to pile up UFOs for 2014? I'm considering joining the "slow quilt" movement in 2014, making quilts that are more complicated and take more time. Shall I continue to host the UFO challenge, or are you "caught up?" My own August UFO was fairly new. 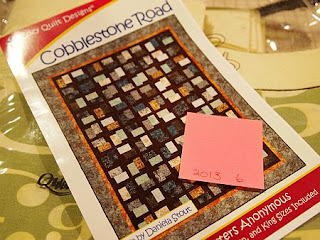 I just started it in April as part of Jamie's Brick Road Quilt Along. 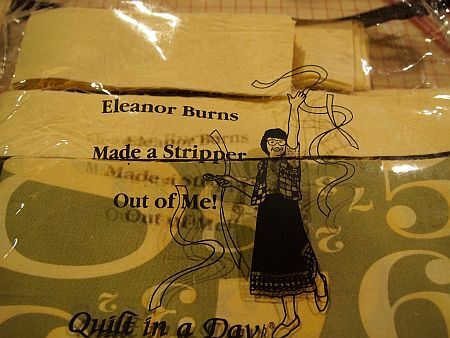 It's her own pattern, "Brick Road." Here is the link to the finished quilt, and here is the link to the kick-off of the QAL. 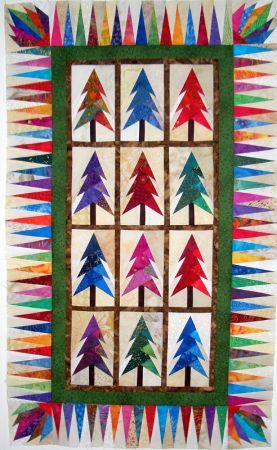 Kerry sent this photo of her "Jeweled Trees Quilt," from the December 2009 McCall's Quilting magazine. Isn't it lovely? Here is her blog post with details. 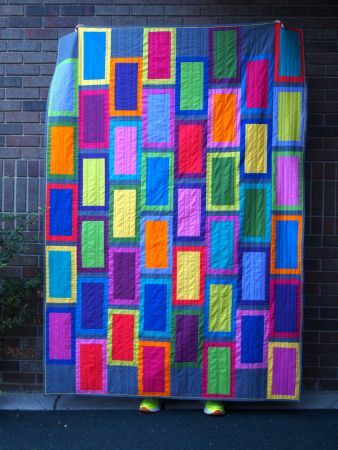 Carol finished the "B" block of her hand-embroidered alphabet quilt. She doesn't say how she did the coloring, maybe in the comments, Carol? You probably thought that I had given the project up since I have not been sending any pictures. 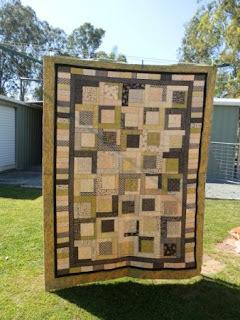 Summer is usually weed pulling time for me but I have been trying to do something on my quilting too. This is an embroidery project. 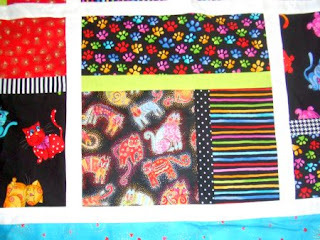 This is the B block for an alphabet quilt. I have been working on it for almost a year. It is good to have it done. Sorry I didn't get them into the first "release" -- this blog post has now been updated three times! 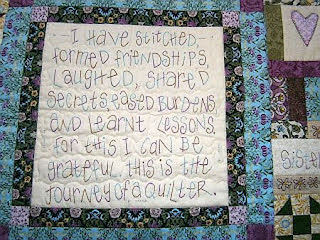 The Gypsy Dreamer, Liz, and I got to corresponding about Marti Michell's templates and how much we love using them. She sent a link to her most recent MM finish, "Coffee Anyone?" Debra is a long-time 52 Quilts follower and consistent "finisher." 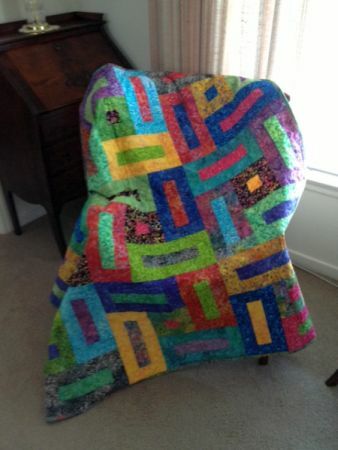 I love this quilt so much, I just have to show you all three photos she sent! My #11 is called A Day At The Spa, designed by Carolyn S. Vagts for the Village Pattern Co. and was in Quilter's World February 2013 edition. I saw this quilt and knew I wanted to make it and after going to Rosie's Calico Cupboard in La Mesa, CA purchased the fabric that I had to have for it - Laurel Burches new cat line. I think I am going to hold onto this quilt until next year. I really love all the bright colors. 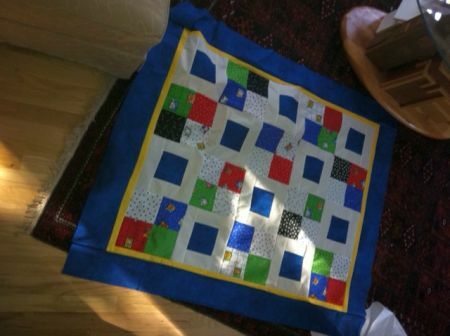 The finished size was to be 66 x 79 - mine is 100 x 100. Deb, I agree, it would be hard to let this beauty go! Debra also finished her #8 UFO this month. And what a finish! It's a Crabapple Hills Designs, "Snow Days." 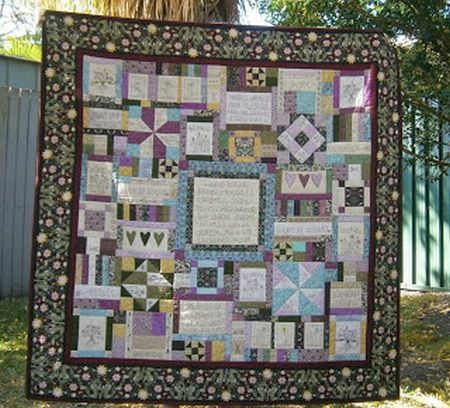 If you've ever made (or drooled over) one of their patterns, you know they combine piecing and hand embroidery. 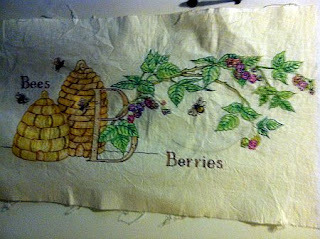 Debra report she had trouble tracing the design on her dark fabrics, so she "free-handed" the trees, branches and twigs. Be sure to click on the photo so you can see the details of the hand embroidery. Gorgeous! 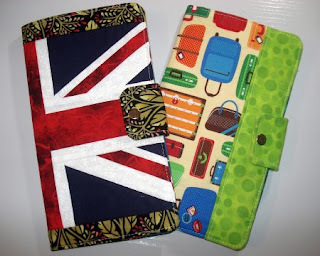 Sue has me all inspired to make one of these for my upcoming trip to Japan. What a clever way to use orphan blocks! They are passport wallets. Be sure to go to her blog, here, to read the details. 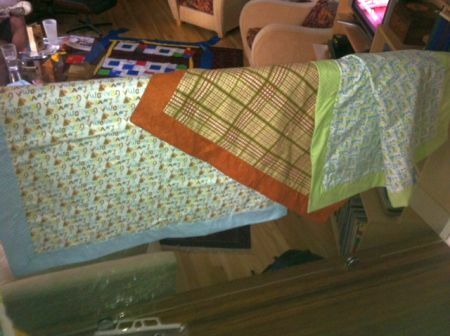 I'm sure you remember Sandi's ongoing "K-collection" of quilts (or kwilts). This is "Korral." 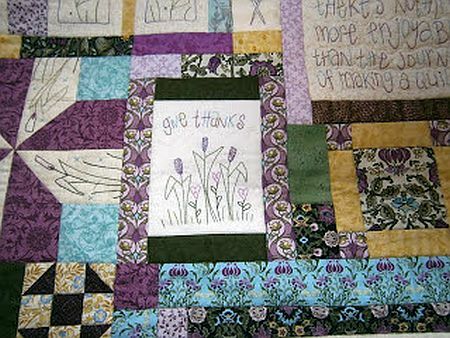 Sandi blogged about this quilt here. This one was also made using Marti Michell's templates. 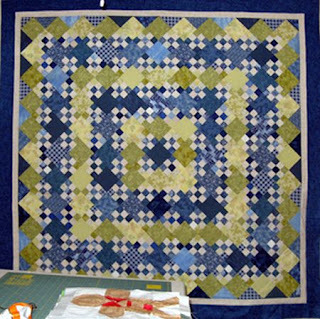 Sandi says she isn't a MM fan, and frankly, I don't see why one would use the templates for this pattern.For super-complicated blocks, such as "Farmer's Wife," the templates are ideal. 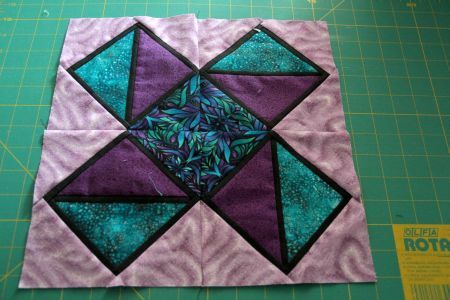 But to my eyes, I think this pattern calls for strip piecing. I'm sure you remember Martha winning the UFO giveaway earlier this summer. She becomes a first-time grandma in January. Looks like she is getting ready, multiple "baby" finishes this month! 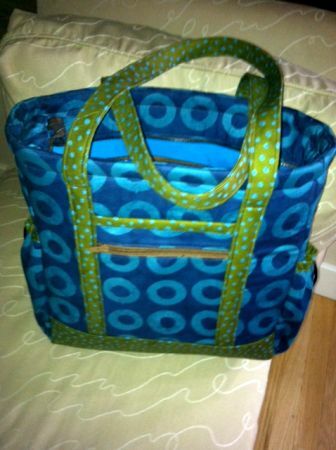 Next, a "Professional Tote." Martha didn't say if this was to be a diaper bag, but wouldn't it make a great one? 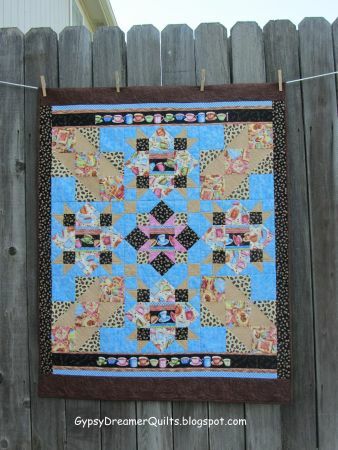 And third, a baby quilt for a friend. Wow, Martha, you're whipping out the projects this summer! Oh, Dear, Irene had a major problem with her August finish. Read the details on her blog, here. Irene, I've been toying with the idea of making 2014 "The Year of the BOM." You make me think I really should do that! Susan in Australia finished this incredible embroidered-and-pieced wall hanging. 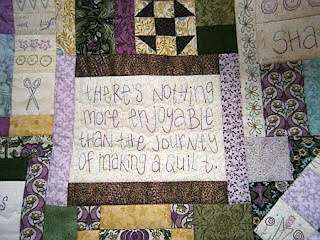 Here is the link to her post describing the project, "A Quilter's Journey." 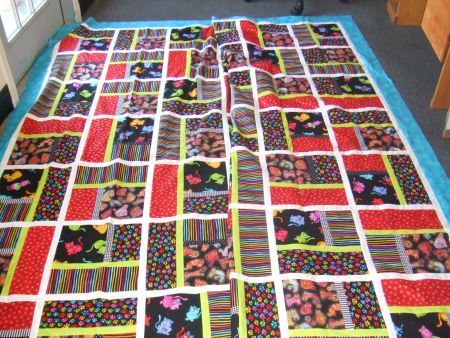 Karen finished this lovely, cheerful quilt. 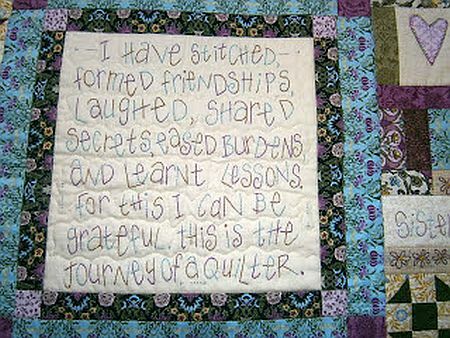 She is gifting it to her niece, who starts chemo soon, Karen, we'll keep your niece in our thoughts. I'm so sorry I missed you three! Please, please accept my apologies. 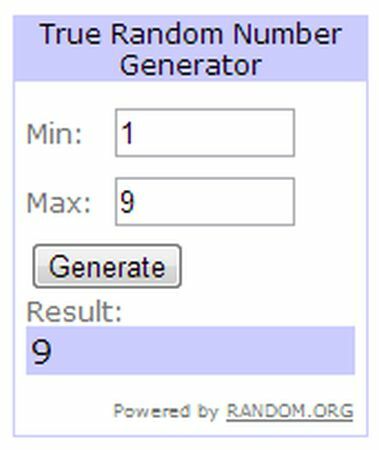 The three finishes I missed make 12 this month -- but I'm sticking with the original giveaway winner. Oh, Look! It's Irene! She totally deserves a win, after the problems she had with this month's finish! 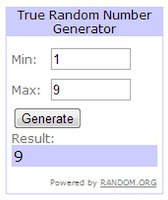 Irene, I failed to choose a specific prize this month. Send me your postal address and I'll find something nice at Ruth's Stitchery's Anniversary Sale to send to you! 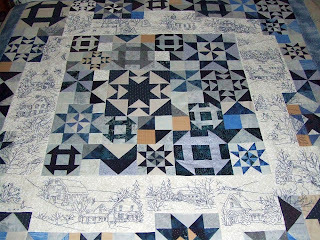 If you're curious why I've been so quiet this week, come back tomorrow for a sneak peak of my latest Scrap Squad project on Design Wall Monday. It's a doozy! Sandi, thanks for the correction. 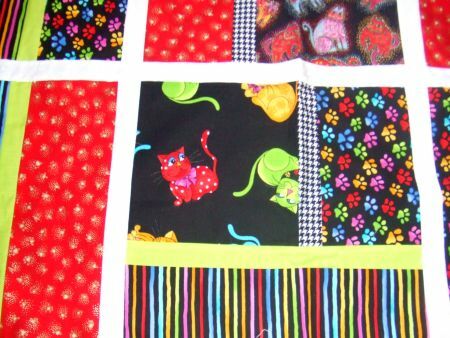 I clearly didn't read your email carefully enough -- when you see my next Scrap Squad quilt, you'll understand why I've been so out of it! The tote is padded to carry my computer - not diapers this time. Great finishes all the way around! I can't wait to rejoin the fun in September... I've been busy getting UFOs to the flimsy stage so I'll be set for lots of quilting this fall. Congratulations Irene - Marti - love your Brick Road. 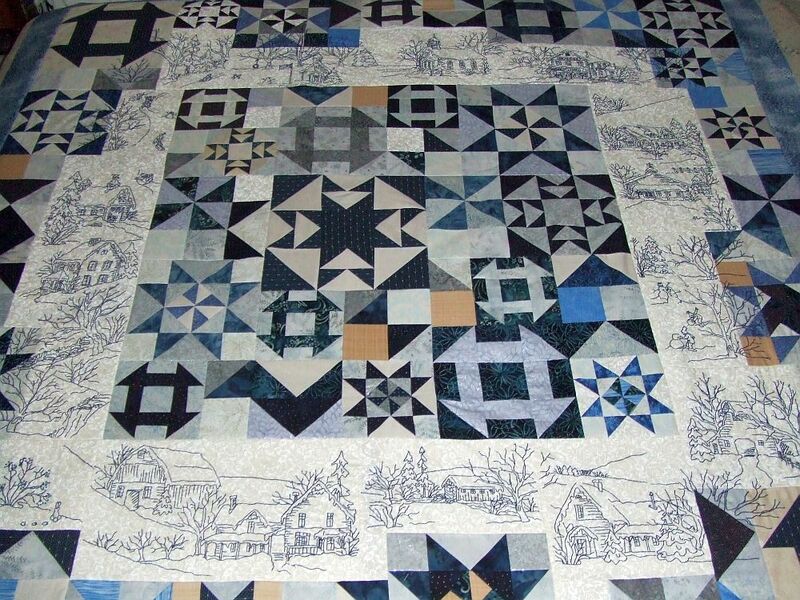 Particularly love Debra's blue embroidered and pieced quilt - bit snowy for me to do but I love it. Lots of lovely work. Next year??? well I am not all caught up (could that ever happen I wonder) - though I have a few big things in mind for next year so probably couldn't manage one finish a month. Maybe just any sort of finish?? It's fun to be able to see all sorts of projects and the stories that go with them. Haven't had a chance to go and check out all the blog posts yet but there are some terrific finishes this month, well done to all of you. Looking forward to finding out what happened with Irene's block, sounds like she needs a prize this month! Can't wait to get home and see what my No. 6 project is. Next year? Absolutely I want to do this again. I've been using it less as a 'finish a UFO' and more of a make a project I had in mind per month. I've found it so helpful to just bag up 13 projects/ideas and put them aside, knowing that by the end of the year they will be done and dusted and I don't have to think about which one will I do next and dither about like I do with just a list. I found it very freeing! Thank you, Marti for my prize. Just to be selected shows that September is already starting out great! I really like the projects this month and think my #6 may be doable. However I will have to work fast since we will be gone the last half of the month! What fun to be included in such an amazing array of finishes! Thank you! I LOVE your Brick Road--the colors are amazing. I have another quilt nearly done with a deadline later this month for my granddaughter's birthday. It feels great to be finishing projects! And YES, please continue to host the UFO challenge. It's great fun! Congratulations Irene! All the finishes are lovely. Sorry I missed this month! I am hoping to be caught up in September.